10 of the most exhilarating, brave and moving moments of The 2017 CrossFit Games in Madison. Firstly check out this awesome highlight reel that CrossFit put together. The first year of competition in Madison saw many exciting moments of grit, honour, fitness, emotion, sportsmanship and pure dedication. Here are 10 of our favourites. Caslin—a two-time CrossFit Games athlete in the Masters 60+ Division—had to make a decision: Keep moving and leave it to someone else to come to the rescue, or turn back and throw away his first score of the 2017 Reebok CrossFit Games. 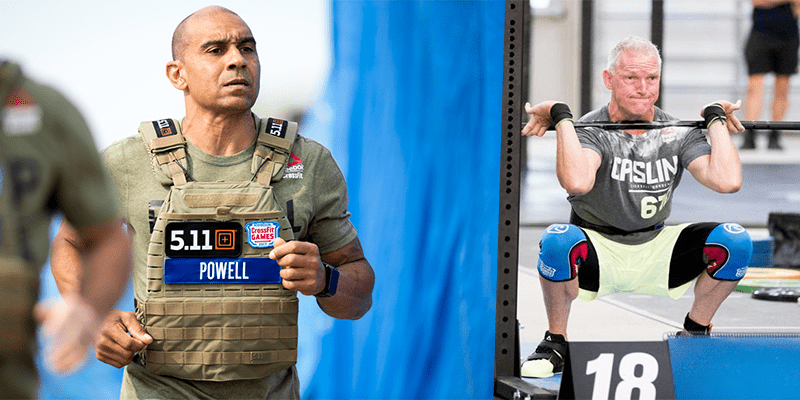 Caslin, 62, met Will Powell, four-time CrossFit Games masters athlete and three-time champion, two years ago in his first CrossFit Games appearance. The two became fast friends. When Run Swim Run—a 500-m swim sandwiched by two 1.5-mile runs—was announced as the masters’ first event, Powell and Caslin both were concerned about how Powell would fare. “I can survive in the water, but I’m not a very good swimmer,” Powell said. But it’s not just that. Powell, 57, is host to a 12-cm tumor growing in the outside lining of the lower lobe of his right lung. As the mass—which is benign—grows, it pushes further into his lung, decreasing his lung capacity and resulting in shortness of breath. Powell has surgery scheduled on Wednesday to remove the tumor. “Basically I have a lung and a half,” he said. Caslin suggested Powell end the event after the first 1.5-mile run. “But I decided to at least give it a try,” Powell said. For the first dozen meters, he moved through Lake Monona’s gentle waves with a decidedly slow sidestroke. Caslin cast him a wary eye as he overtook his friend about halfway to the first buoy. A few moments later, he heard Powell’s cries. Ti-Clair Toomey had spent the majority of the 4 days in the top spot. Going into the final event only a few points separated her and fellow Aussie Kara Webb. Basically it came down to whoever won this event would win the 2017 CrossFit Games. The end was too close to call after Tia was no repped right next to the line! 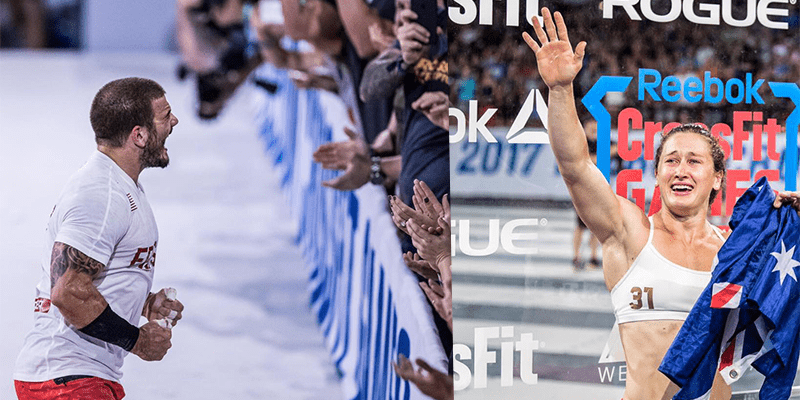 After an agonising 5 minutes, Dave Castro announced that Tia had won.